I love cooking! 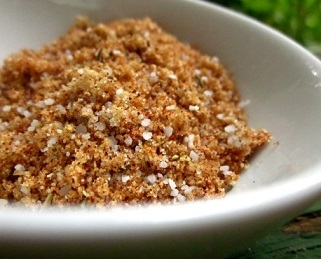 Publishing a Rib Dry Rub recipe is one example of why I love to cook. Cooking ribs, especially barbecue ribs, in and of itself is almost like talking religion and politics! What’s the “BEST?” Ask the question and get a thousand (different) answers. I love it! International and USA regional differences in how ribs should be prepared makes cooking interesting AND FUN! My husband and I have tried ribs in many places in the USA. 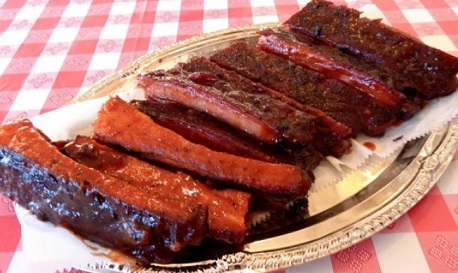 Every city/state in the south claims to have the best ribs – and they are correct, just as Chicago, New York City, Boston, Los Angeles, Columbus, etc. boast excellent ribs. So what does make for a perfect rib, barbecued or otherwise? Tenderness, smokiness (just a “kiss”), sauce (not too much, either), and just the right amount of charring. When talking about “tenderness,” think “tug-off-the-bone,” not overcooked (“fall-off-the-bone”) or mushy. This has to do with the cooking method. (Please do not boil your ribs - at a bare minimum do not boil them to death). Click here to read more. 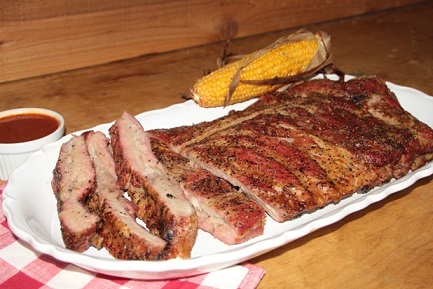 And, to achieve a so-called “perfect rib,” you should use a dry rub for ribs. The dry rub recipe, the sauce, and the cooking method = DELICIOUS. You can choose any type of rib for this rib dry rub recipe: baby back ribs, long ends, short ends, you name it. Works with chicken, too. Note: You really want to taste your ribs. 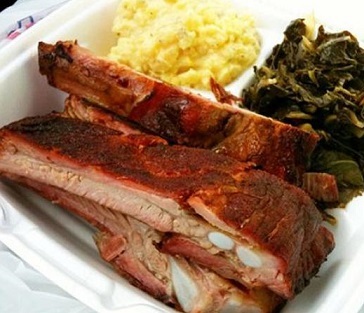 Even if you have a great sauce, don’t smother your ribs with it. Sauce is supposed to “enhance” the meal …not become the meal. “America, it has been observed, is not really a melting pot. It is actually a huge potluck dinner, in which platters of roasted chicken beckon beside casseroles of pasta, barbecue ribs, mounds of tortillas, stew pots of gumbo, and skillets filled with pilafs of every imaginable color."